So I twisted Chris’ arm for some more details on his journey and his future plans, and he was kind enough to agree to share his story. Interestingly, Chris has taken a somewhat unconventional route by concentrating on owning a paid off house and becoming totally debt free before beginning his investing for retirement. It's an approach which may not be for everyone, and it will certainly require a lot discipline going forward - but discipline seems like Chris’ strong suit - I present exhibit A: a 20 year home loan paid off in just 3 years! I grew up on the Cape Peninsula South of Cape Town and I attended the local schools. I still live in the area and have subsequently developed a couple of trades over the years. I work as a subcontractor in the construction industry. I am married with one child and enjoy outdoor activities with a keen interest in water sports. Growing up, my family either had money or no money whatsoever. So I know what its like to not be able to afford basic necessities. I believe these early childhood experiences made me realize that you need some money to sustain a basic and stable standard of living. There was no pocket money or tuck shop money for school so I started going around the neighbourhood door to door washing cars when I was a kid. When I became a teenager I added a newspaper run to it. So from a very young age I realized I needed to make my own money if I wanted to do my own thing! I left home after High School and went overseas. I was on minimum wage as most of the jobs I was doing were unskilled laborious work. I really had to budget hard in order to pay for rent and food. The saving was slow going, but I was diligent, and I set a weekly goal and stuck to it. If I look back on those amounts now it was very small, but it was more the process and in the end I did have something to show for it. I was really impressed with my measly savings! I believe these were early fundamental building blocks in prioritizing money. I think when people do start earning better money as their careers develop they miss a critical opportunity to invest in the property sector. It doesn’t have to be your dream home initially, just a small apartment or a house outta town that is affordable. This also gives you drive to work harder at your career, save up more and possibly try invest in your dream home as soon as you can! Once you have bought your dream home do not dream bigger! Be content with your purchase and enjoy living in your house. With regards to my income I realised I have a choice – I can live the high life, blow it all and stay in debt for rest of my life, or be frugal, live a good life and smash the debt. So my plan was always to put all my extra savings and disposable income into my bond. I fully concentrated on the bond. My thinking was pay off your bond first so you have a roof over your head for life, which no one can take away from you as long as you are a law abiding citizen! Interestingly for people to note reading this I had no other investments and pension prior to paying off my dream home. I am still thirty years away from normal retirement age so I believe I have enough time to fully concentrate on those departments and channel as much of my savings/disposable income into those avenues. Yes it is true, once you are debt free, you do sleep much better at night! Life becomes a lot simpler when you are not chasing houses and car loans. I bought my house and car second hand and they were both reasonably affordable, I am not planning on upgrading either and I am content with these. My advice to others is to start off small, get your foot in the door on the property ladder. Be diligent, save hard and pay off the debt as quickly as possible. 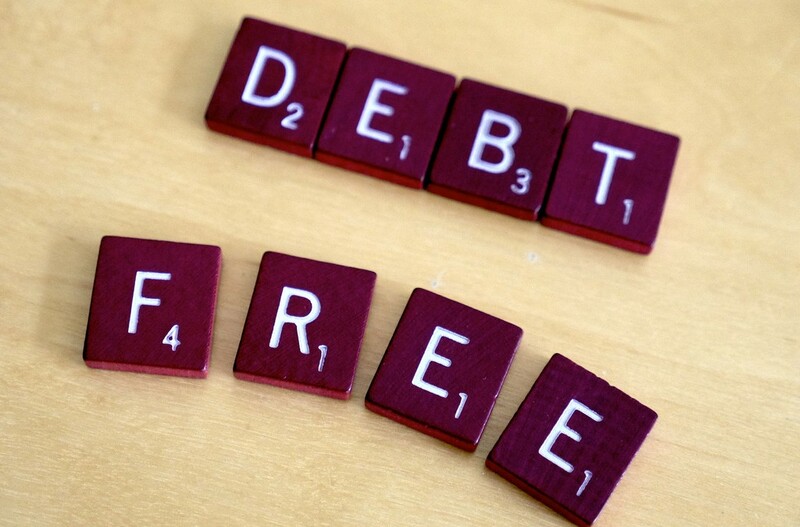 Debt is a necessary tool to get you into the property sector but don’t let debt control you. You control the debt! Going forward, I am turning my attention to investing. I have set up TFSA’s for all three of us and I am ensuring those are topped up to the max every year. I have taken a keen interest in crypto currencies, and believe it is an interesting developing space. I am researching this area and I believe it can form part of an investment strategy. In unrelated news, the Cape Town Readers Meetup went down last Saturday. Feedback seems to indicate that it was a lot of fun and everyone learnt a lot - which is exactly the two outcomes I was hoping for! (If you want to find out when a Readers Meetup is happening in a city near you, sign up here). A huge thank you to Lisa and Daniel who went above and beyond in the organising and running of the event - you guys rock! Some questions were put to the attendees, and I will share some of the answers below. If you could be 18 or 21 again what would you do differently? Not to be scared of risk. Buy an investment property as soon as I could! What is your number one personal finance tip? Boring I know but… Spend less than you earn. Create a passive income ASAP. Get an app to manage your finances. Even if you have to pay for it. Create a passive income. Reduce fees on investments. Educating myself about finances. Set a goal to pay my home loan by end 2020 - far more focussed now. Minimalism, frugality, cycling for commute.